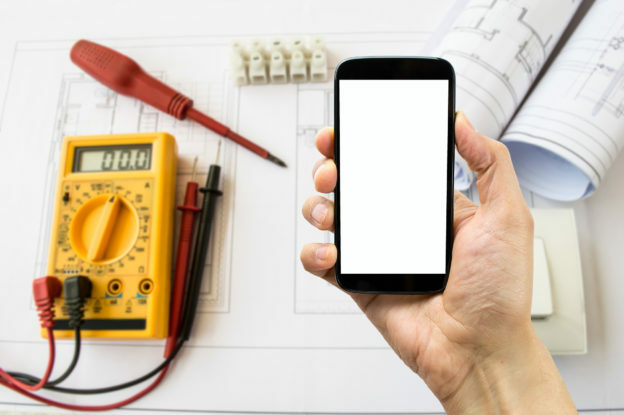 What is the Best Electrical Estimating Software App? On the high end, the national average for installing electrical wiring is $4,450. The low end is a mere $125. When estimating costs for your clients, you want to give them the best price possible. They want to trust that your final price was as close to your initial estimate as possible. Without that trust, you can kiss your “word-of-mouth” chances goodbye. Electrical estimating software can increase your productivity and improve your workflow. Keep reading to find out why the REMS app is all you’ll ever need. The truth is that estimations can cost electricians an ample amount of money. This translates into higher prices for the client and loss of business for the company. The Residential Estimating Management System (REMS) is software made by electricians for electricians. This means it has been specifically designed to cater to the modern business person in the electrical industry. It anticipates the needs of the contractor and has included all the features in one place. You don’t have to worry about pages and pages of complex data. REMS has a sleek look with easy-to-follow videos tutorials. A common issue with other software such as McCormick and Aroflo is the need for other apps. You either cannot send reports or you need a separate accounting app to do so. With REMS, this is all included. This electrical bidding app is also helpful to customers. It allows the contractor to create easy-to-understand designs and invoices. There is nothing more frustrating than miscommunications within the company. This slows down workflow and increases the cost per job. Real-time updates are a must for estimator software. When someone in the office makes a change to a project, the contractors in the field need to be able to access this. REMS offers this integrated technology. You can use this across multiple platforms. Add an addendum to a project and all the related reports and files can be accessed via the cloud. Use any laptop or tablet to communicate with all electricians out in the field at the same time. Anytime information or the status of a project is changed, you will immediately know. Also, you can set users to have different access levels. This will keep your information as accurate as possible. When you’re growing your business, you want to decrease as many steps as possible. Managing finances is tied directly to the growth of your company. REMS has Quickbooks integrated into the design of the software instead of having to download a separate app. You can sync your Quickbooks account with REMS to eliminate the need for manually re-entering your reports. This process cuts down on the possibility of lost or wrongly enter information. It also gives you the ability to compare your estimates vs your actual cost with the profit calculator. This feature helps a company increase their estimate accuracy as time goes on. The need for electrical contractors is projected to increase through the next decade. This means more profits and more competition for the business owner. Having electrical estimating software that anticipates your needs is like having a star employee. Contact REMS to find out how you can try out this software completely free.